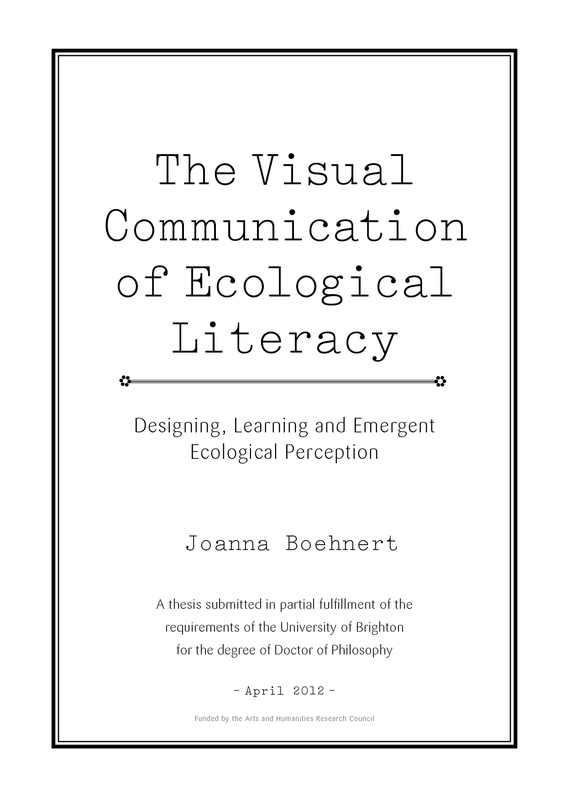 My PhD titled ‘The Visual Communication of Ecological Literacy: Designing, Learning and Emergent Ecological Perception‘ has now been approved. This practice based work in the School of Architecture and Design and the University of Brighton was funded by the Arts and Humanities Research Council. I will be publishing one chapter of my each week for the following ten weeks. If you would like a printable copy of the entire on-line version, it can be downloaded for £11.